A very effective way to communicate (helping executives move beyond the Power Point paradigm) is through TED-type talks. Hayes coaches have experience helping leaders communicate in the TED style, which includes assisting with content that makes a connection with the audience through personal stories and experience and by using video-recorded feedback to practice and hone delivery skills. Successful TED-type talks connect to the audience through a story (emotional connections), introduce a novel or new idea (audience learns something new) and are memorable (think Bill Gates releasing mosquitoes into the audience when talking about malaria). Although your presentation may not be that dramatic, Hayes can work with your content and through practice and feedback ensure that your audience walks away with a clear, concise, and memorable communication. We appreciate your interest in The Hayes Group International and our services. Please fill out the form below and we will be in touch with you shortly. Please check the services you are interested in. 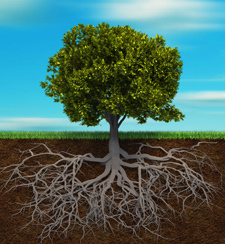 To flourish, an organization needs both strong branches and deep roots. We can help with both. We will be happy to assist you. Please contact us so we may assist you.